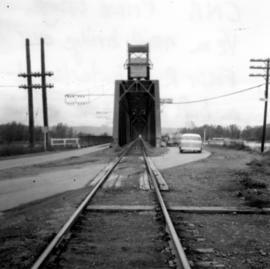 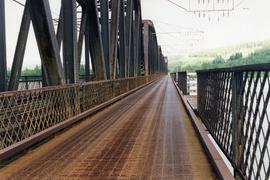 Photograph depicts a rail bridge over the Fraser River. 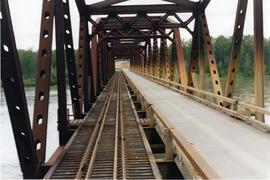 Canter levelled on both sides were vehicle roadways which ceased to be used in 1987 when a new road bridge was supposed to be completed. 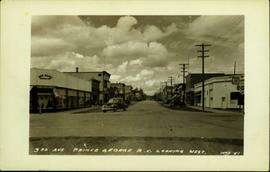 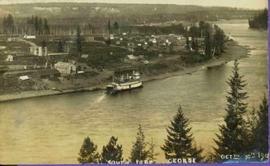 The right lane took cars into the city of Prince George. 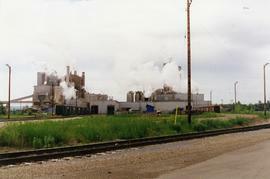 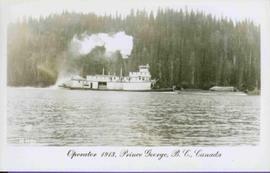 Photograph taken somewhere between Prince George and McBride. 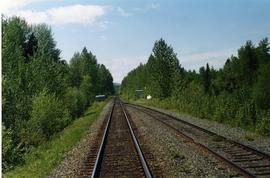 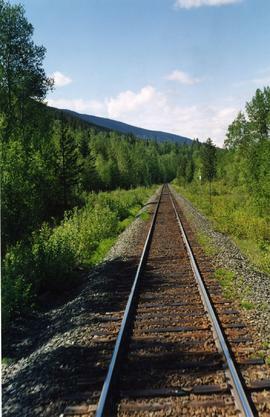 Photograph taken somewhere between Endako and Prince George, Nechako Subdivision. 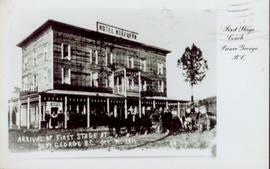 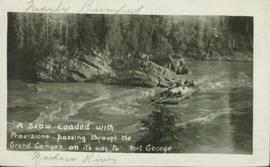 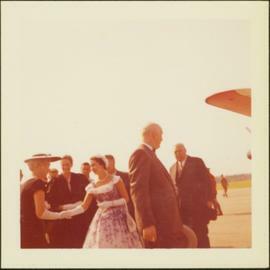 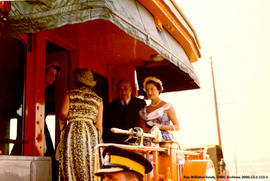 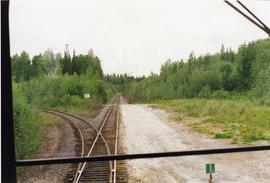 File consists of documentary photographs taken by David Davies of the Railway Museum in Prince George, British Columbia. 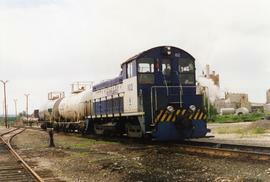 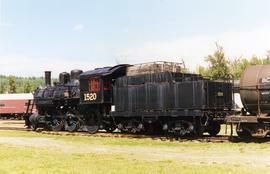 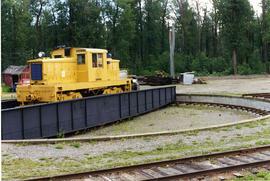 Photograph depicts a locomotive at the Prince George Railway Museum. 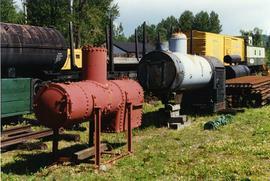 Photograph depicts tanks at the Prince George Railway Museum. 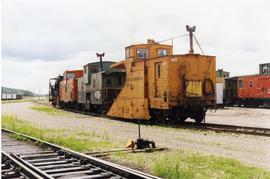 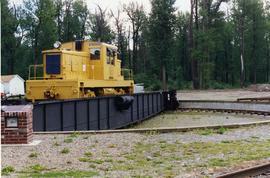 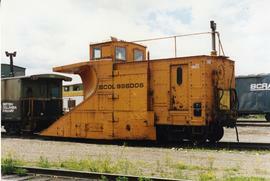 Photograph depicts a snow plow at the Prince George Railway Museum. 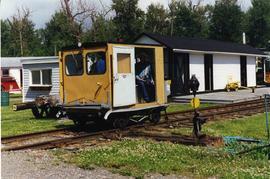 Photograph depicts a speeder car at the Prince George Railway Museum. 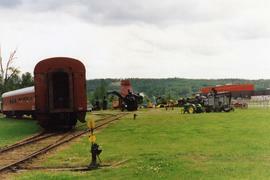 Photograph taken at the Prince George Railway Museum. 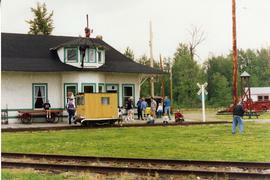 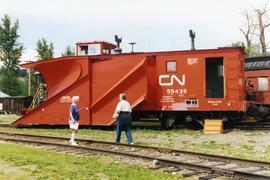 Phoo depicts a train at the Prince George Railway Museum. 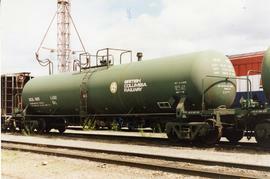 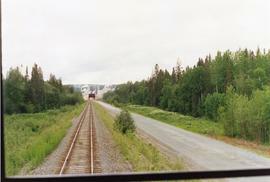 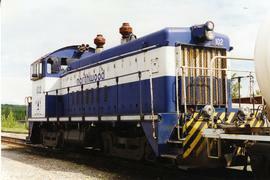 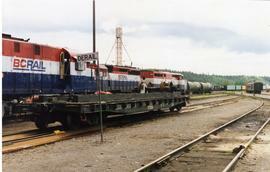 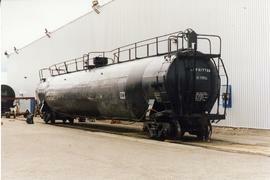 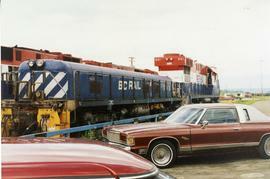 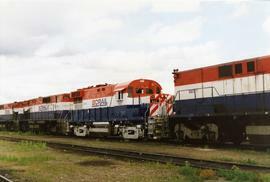 Photograph depicts the rear of two locomotive cars at the Prince George Railway Museum. 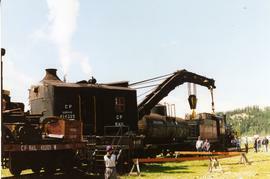 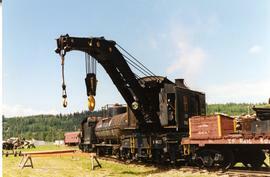 Photograph depicts a crane at the Prince George Railway Museum. 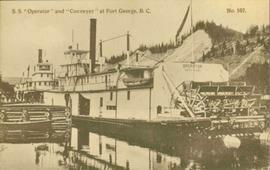 Photograph depicts a B.C. 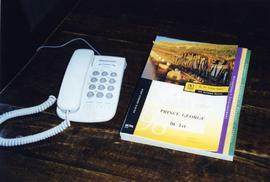 Telephone book with a CN bridge crossing the Fraser River featured on its cover. 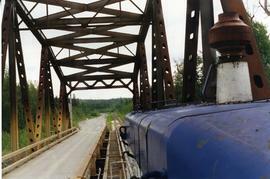 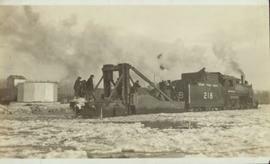 Photograph depicts a loaded coal train en rout to Prince Rupert travelling on a CN bridge that crossed over the Fraser River.